something NHS England take incredibly seriously. The challenge however, is communicating the new legislation to employees who are unclear on where they stand as individuals and as part of the larger NHS itself. 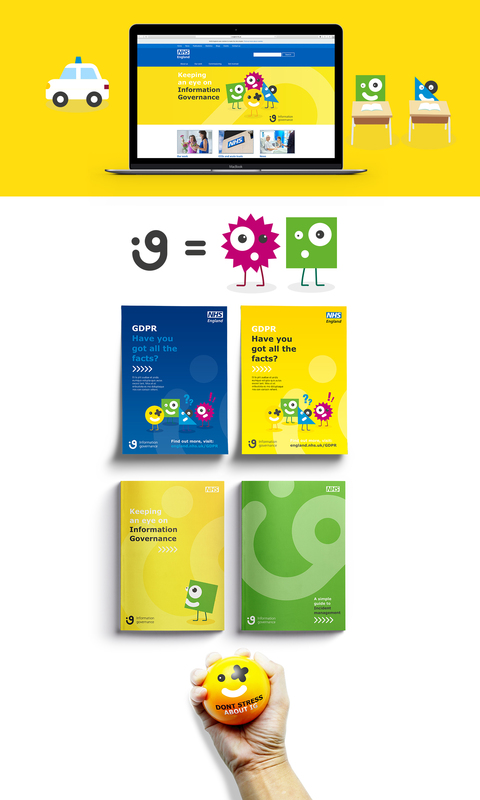 Data protection can sound incredibly dull as well as jargon-tastic, so our job was to break down the myths, engage people and explain in its simplest form what Information Governance is, how it affects everyone, the consequences of non-compliance and mot importantly – what’s needed from employees. Juice produced a series of communications pieces including an animated piece to engage and communicate the key themes to a varied target audience – all NHS England employees. Simple, vibrant graphics including a series of fun characters were designed to hold attention and explain things clearly. The original GDPR animation opens up the campaign and later will be followed by other pieces to keep the momentum going and people engaged. Creating a simple suite of characters that bring a dry and complicated subject matter to life.